All Grain American Pale Ale homebrew recipe. 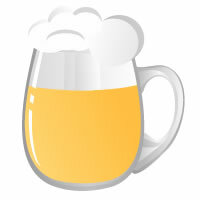 This homebrew recipe uses the following ingredients: Pilsner - DE, Carapils - DE, Munich Light - DE, Mandarina Bavaria Hops, Cascade Hops, Magnum Hops, Fermentis Safale US-05 Homebrew Yeast, Gelatin, Orange or Lemon peel. This recipe was cloned from The Clockworked Orange Pale Ale.